Even though I didn’t start traveling internationality until I was 30 years old, I’ve done a lot of traveling; some people may even consider me an ‘expert’. I’m not real sure if I deserve the ‘expert’ title, but there are certainly a few things I’ve learned about international travel. You need a valid passport to travel. That passport shouldn’t expire within 6 months of you traveling. You need to have at least 2 empty (non-stamped) pages in your passport. 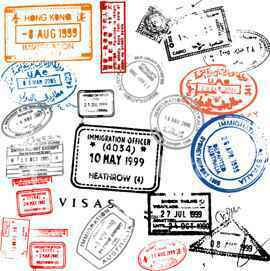 Countries require a visa to enter their country and sometimes that costs money. However, if you are only passing through the country via the airport, you don’t need a visa if you are simply transiting through the airport.